Thank you for your interest in volunteering for the Transit Museum Society! There are multiple opportunities to contribute to the Society and its current projects and ongoing operations. 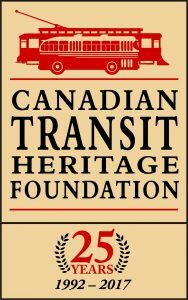 You don’t have to be a current or former transit or transport industry employee to volunteer for us. As long as you’re passionate about public transit and how it shaped our province over the years, you’re good to go! To minimize liability and gain access to all membership perks essential to volunteering for the Society, all current and prospective volunteers must be a current registered member of the Society. Not a member yet? Membership expired? Click here to register or renew! Volunteers in this position are responsible for taking our buses to and from community events and media rentals, and driving them on tours, charters and excursions. Operators may also be required to operate the bus for certain events, whether it be as a shuttle or for an event that takes place on board. Operators will be given orientations on each bus to allow for familiarization with the fleet. Operators who have never driven a trolley bus will receive training on the unique operation of these vehicles. Please note that the Society will keep a copy of your driver’s license and abstract on file. Volunteers in this position are responsible for the maintenance and restoration of our vintage fleet. Duties may include inspection, regular maintenance, preventative maintenance, repairs, test drives and assistance with the restoration of any project vehicles we may have. Certifications are not required to volunteer in this position, but a Diesel Engine Mechanic or Truck and Transport Mechanic certification is recommended. Volunteers in this position are responsible for attending community events to represent the Society and interact with guests. Don’t worry if you aren’t too knowledgeable about the history of transit in B.C. You will learn a lot about it when you volunteer for the Society. Volunteers are able to take on multiple positions so there’s no problem if you want to drive, work on buses and represent us at events. We are also looking for general volunteers to help us with various tasks in our facility in Burnaby. The bulk of costs and all work in preserving, operating and maintaining our fleet of beautiful old buses rely on volunteers, so no matter what you’d like to help with and whether your help is occasional or more regular, all volunteers are ever so welcome! If you’re a mechanic and don’t have the time to be at our shop on a regular basis, there might be opportunities to get involved on a “project basis.” Let us know in your submission email and we’ll let you know about all the opportunities we have for you! Be sure to list all roles you’re interested in and tell us what you have to offer to the Society!